Throughout the school year, senior parents will be receiving emails regarding activities and information. This section will include the dates when emails were sent and the subject line of the email. Please note, these emails are delivered to the primary parent email address that was provided in the Aeries Parent Portal. Each parent email will also be forwarded to seniors at their school email address. Just a reminder that the Cap & Gown deadline is approaching on January 8th. Please review the information from the October 6th email below. The order website is now available to rent your senior’s cap and gown! The only item you must order through Jostens is the cap and gown rental package, which is a $42 fee, plus tax (total will be $45.26). This option includes the gown, cap w/tassel, and stole. Students will keep the cap, tassel, and stole. bottom of the page on the left for the $42 option. Payments WILL NOT be accepted at TPS, only through the options listed above. The other information provided on the Jostens website is for your information only. You are welcome to purchase other cap and gown packages, graduation announcements, class rings, “Class of 2019” novelties from anywhere you would like. Cap and gowns will be delivered to TPS and will be part of “senior check-out” just prior to commencement. If for any reason, you are not able to rent a cap/gown package, we will provide one for your student to use if needed. If this is the case, please contact me no later than December 20, 2018 and I will be happy to assist you. On Wednesday, June 5th, seniors will be required to return their rental gowns to TPS and pick up their official diploma. June 5th is also the last day of school and finals for our 7th through 11th grade students. The “Class of 2019” page is now up and running. This page will be updated with relevant information and emails that are sent to you. If you have any questions regarding this email, please feel free to contact me and remember that Mrs. Lemkau is the Class of 2019 counselor. You can reach her at rlemkau@temeculaprep.com. This just in! The Senior Week Schedule (including finals schedule) is now available! Click on the icon below. Yearbooks are available for purchase now through the TPS website online store. Available now! The deadline to order your ad is February 22, 2019. The Class of 2019 Grad Nite date is set for May 31-June 1st. Click on the ticket icon below to go to the webstore to purchase pay for your ticket deposit. Prom information is coming soon! This contract will be shared with seniors very soon! “Senior Week” is typically the last week seniors are at school. Senior Check-out: Seniors return books, clean out lockers, finalize any outstanding academic concerns, and have a variety of areas checked off by staff members. Senior Signing Ceremony: The intent of this event is to honor standout seniors in the Class of 2019 as well as give an opportunity for the students who will be committing to college or the military to publicly announce their future plans. The seniors are required to attend and you are welcome to join us to celebrate your child at this event. We will share this date with you as soon as it has been finalized. Senior Breakfast: This event is typically the day of commencement (June 4th). Seniors get together to have breakfast and commencement rehearsal following. October 27, 2018 – 2018 Homecoming Dance. Ticket on sale now through the online store. January 26, 2019 – Hoopcoming Dance at Monteleone Meadows. 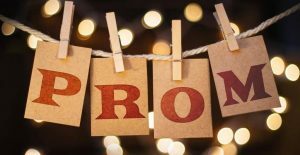 May 11, 2019 – Junior Senior Prom at Birch Aquarium at Scripps Institution of Oceanography.